This is the second Kimpton hotel we’ve stayed at and we’re noticing a definite pattern: Swanky luxury hotels in great locations with top notch service, exquisitely comfortable rooms and beds, and each with their own unique personalities. 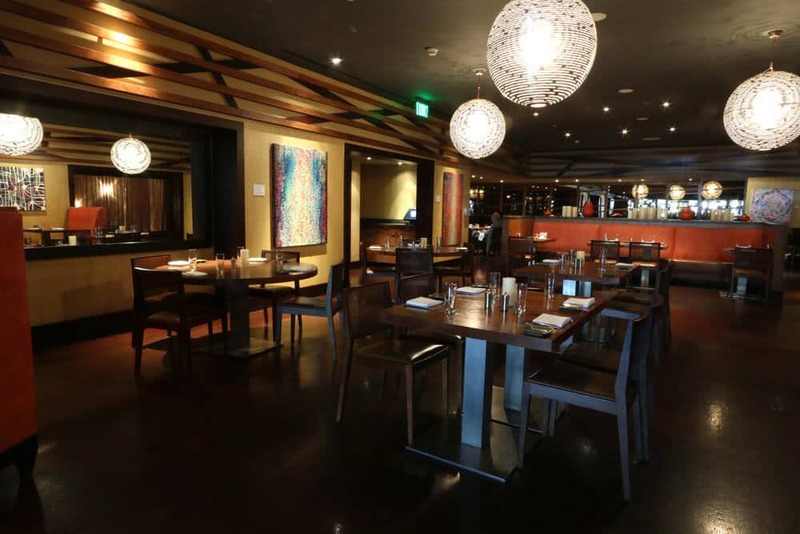 Come take a virtual tour of Hotel Palomar in Westwood, California! 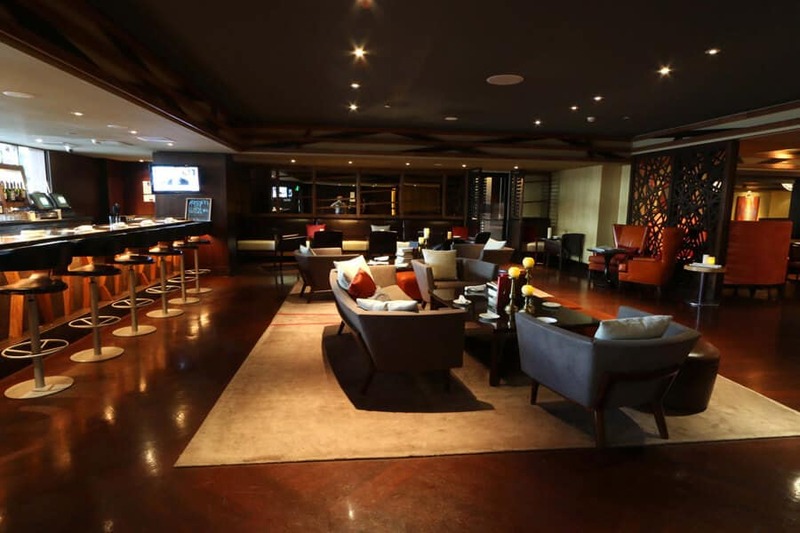 After our experience at Alexis Hotel in Seattle we were excited to explore Hotel Palomar. Situated on Wilshire Boulevard, one of the most famous thoroughfares in the world, Hotel Palomar is a 4-star luxury boutique hotel next to Beverly Hills on the Wilshire Corridor in Westwood Village. Its location is awesome! Within a very short distance there’s shopping on Rodeo Drive, access to multiple world class museums, and the popular beaches of Venice and Santa Monica. 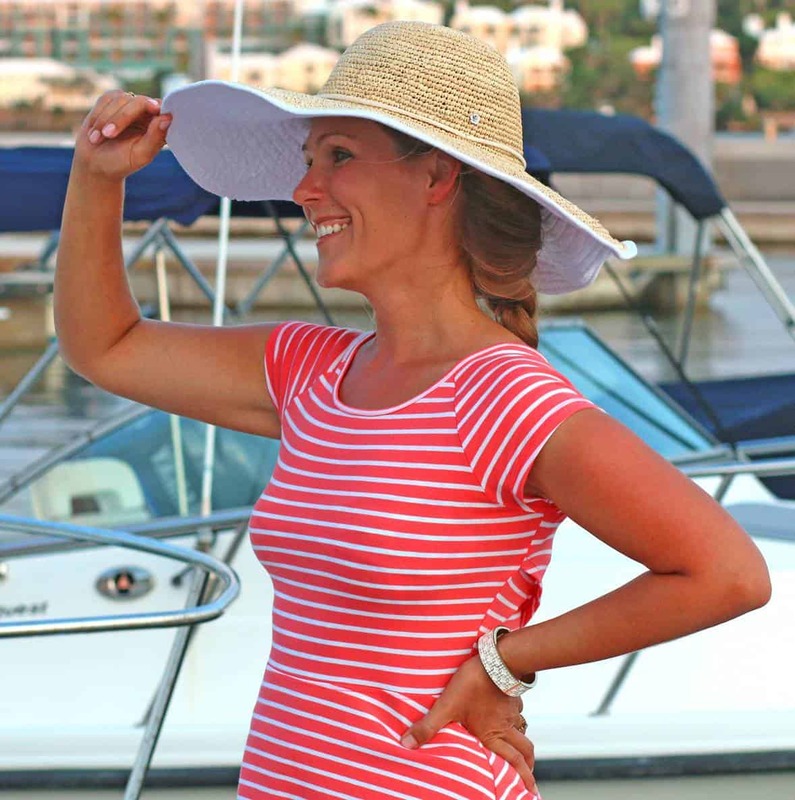 The staff was very friendly, professional, and always willing to help. Checking in and out was a breeze. Hotel Palomar offers 24-hour valet service and our car was always promptly ready. A few of the other thoughtful services offered: Full concierge services, overnight shoeshine, valet and laundry/dry cleaning service, a hosted wine reception in the hotel living room every evening from 5-6pm including live acoustic musical performances on selected nights, complimentary coffee in the living room every morning from 6-10am, and a complimentary morning newspaper available upon request. Hotel Palomar is a thoughtful fusion of classic California architecture and Hollywood glamour. We left our keys with the valet and stepped into one of the most unique lobbies we’ve seen. 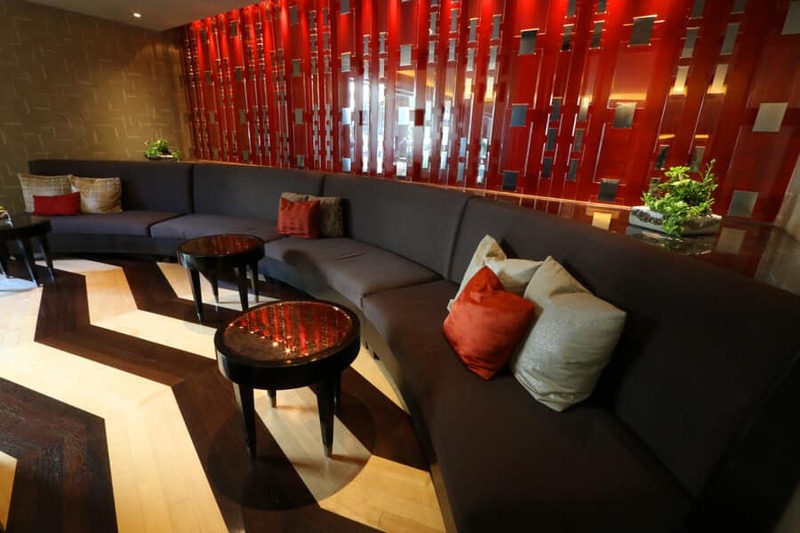 The color scheme is rich, the decor both sleek and tasteful, and the design of the wood flooring from a distance creates an optical illusion of movement, reflective of the hotel’s “Art in Motion” motif. Kimpton places a great deal of value on art and supporting local artists, something we witnessed at Alexis Hotel in Seattle, and that was also apparent here at Hotel Palomar. Carefully curated, the hallway off the hotel lobby has several art pieces on display. 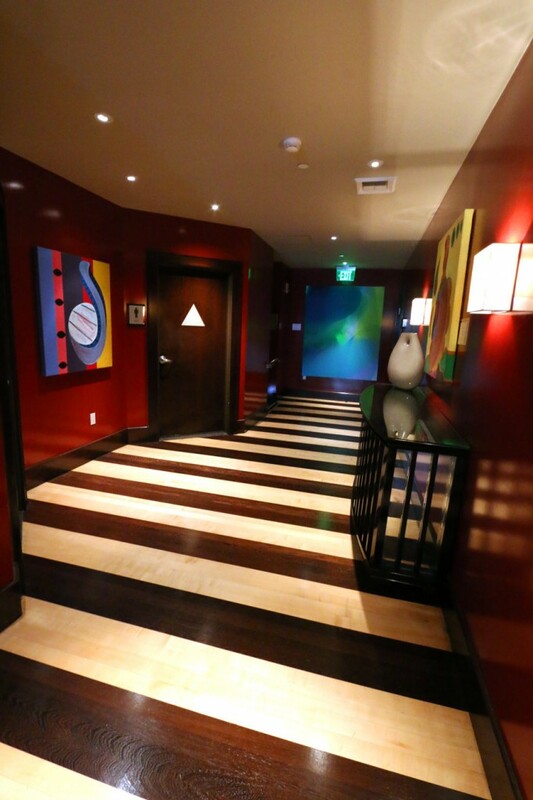 I love the rich colors throughout Hotel Palomar and contrasting shapes creating a sense of movement. And speaking of movement, let’s discuss some of the onsite amenities. 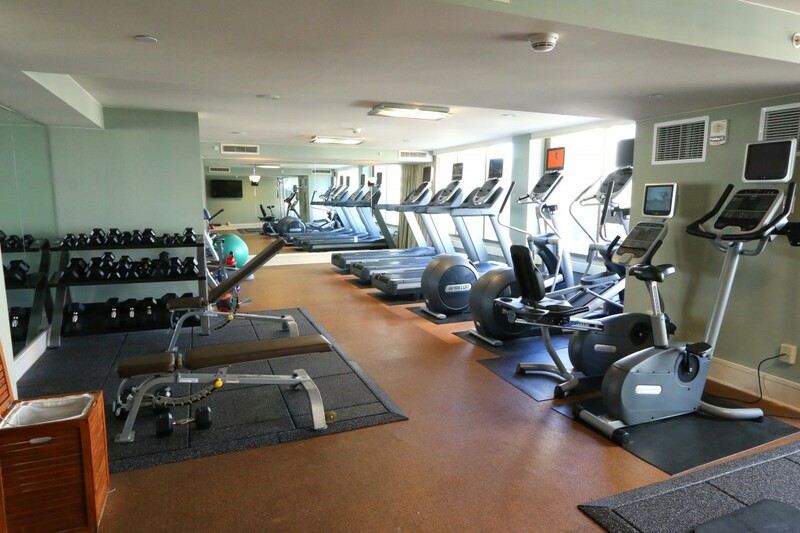 A 24-hour Fitness Center is available with such equipment as treadmills, elliptical trainers, free weights and kettle bells. There’s also a 40-foot outdoor pool that’s open from dawn to dusk with an adjacent outdoor lounge area featuring a cozy fireplace. 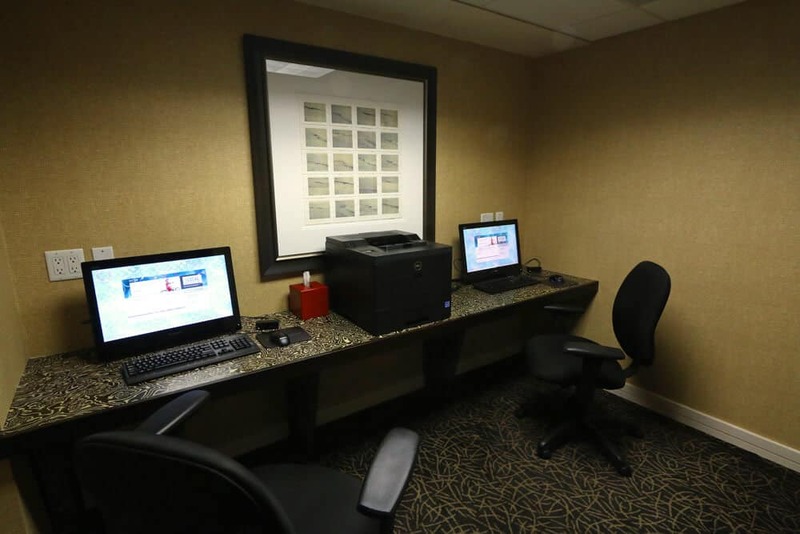 For your convenience there’s an onsite 24-hour Business Center with a fax, copy machine and high-speed internet. 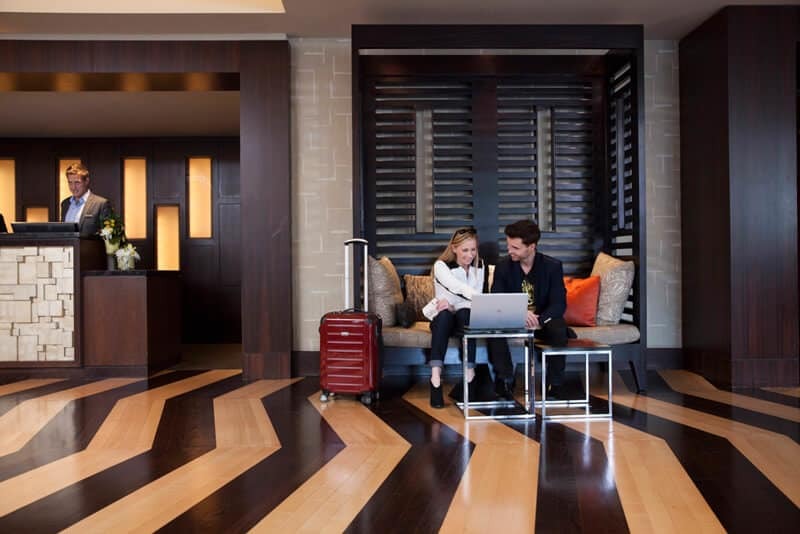 Wireless high-speed internet is available throughout the hotel and is complimentary to Kimpton Intouch Members. Let’s take a look at the room. We really enjoyed our suite. Super nice, immaculately clean and tastefully decorated, like the main floor of the hotel, it was very sleek and modern but thoroughly comfortable. 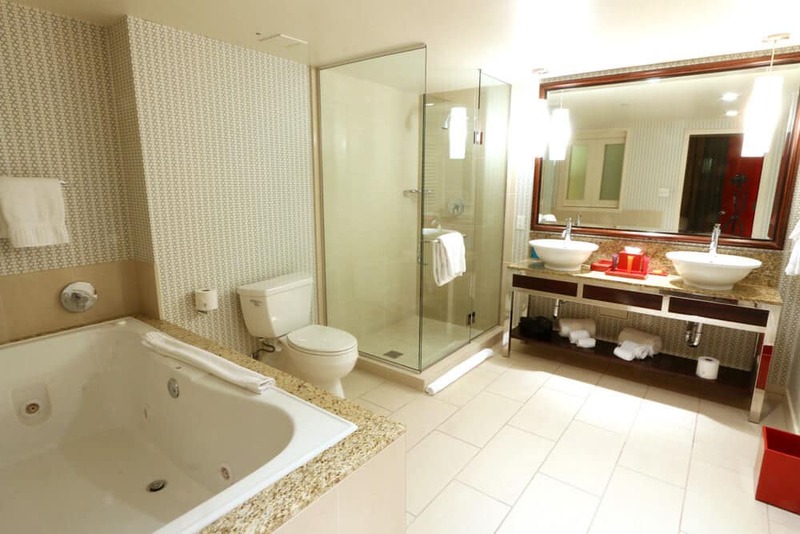 Our suite had a separate living room, bedroom and very spacious bathroom. Both the living and bedrooms had their own 42″ LCD flat-screen TV with cable access. 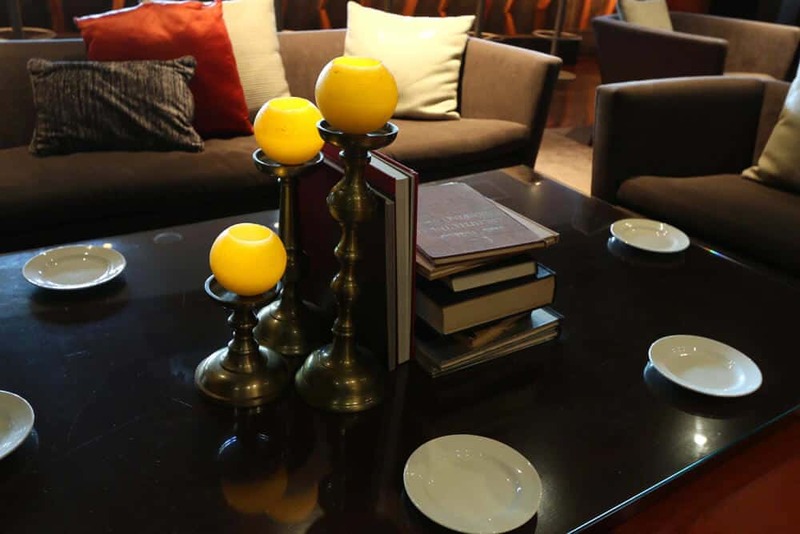 The room also had an iHome docking station and a fully-stocked bar with gourmet, organic and locally-produced items. 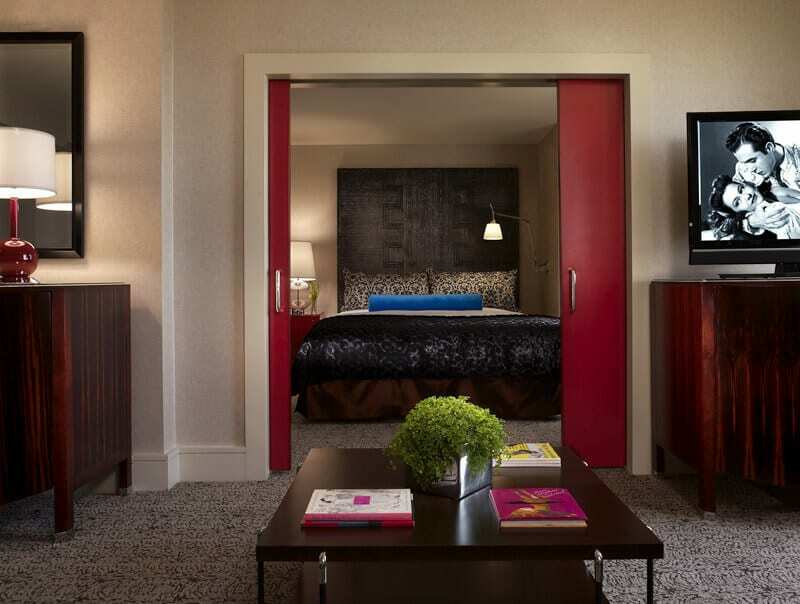 Hotel Palomar also offers in-room dining and in-room spa services. And Hotel Palomar doesn’t only pamper it’s human patrons, it also looks after its canine guests. Pet walking and sitting services are available as well as an in-room Doggie Bed and in-room food and water. Hotel Palomar offers personalized room preferences and a variety of pillow styles are available upon request to ensure your comfort. Luxurious bedding and sheets are another hallmark of the hotel. The bed was superb and we slept very comfortably. The bathroom was huge! We loved the large jetted tub and everything was immaculately clean to the point of sparkling. The bathroom was well-stocked and came with Italian-made ETRO bath products. In the closet were Kimpton’s signature animal print bathrobes. And if you forgot to bring anything with you, chances are they have it, and if they don’t – they’ll get it. That’s Kimpton. Their “Forgot It We Got It” program provides cosmetics, grooming items and personal appliances, many of them complimentary. The views from the hotel are awesome! 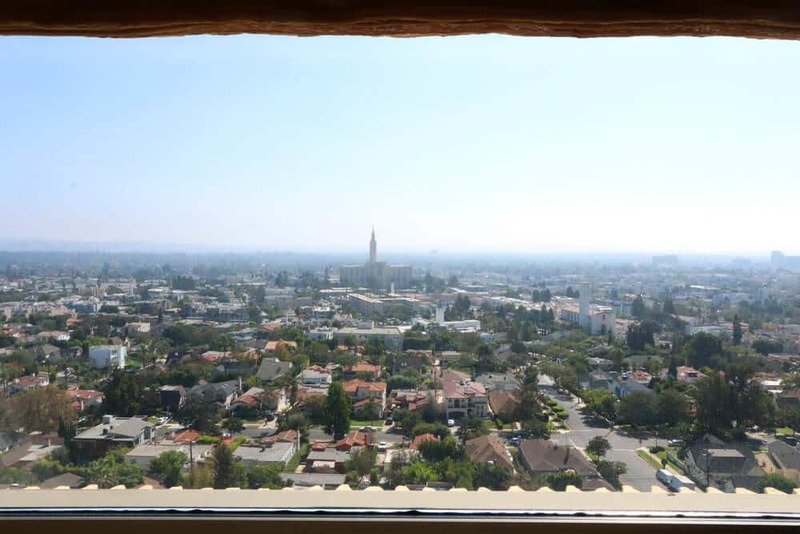 On one side you have a sweeping view of Los Angeles. 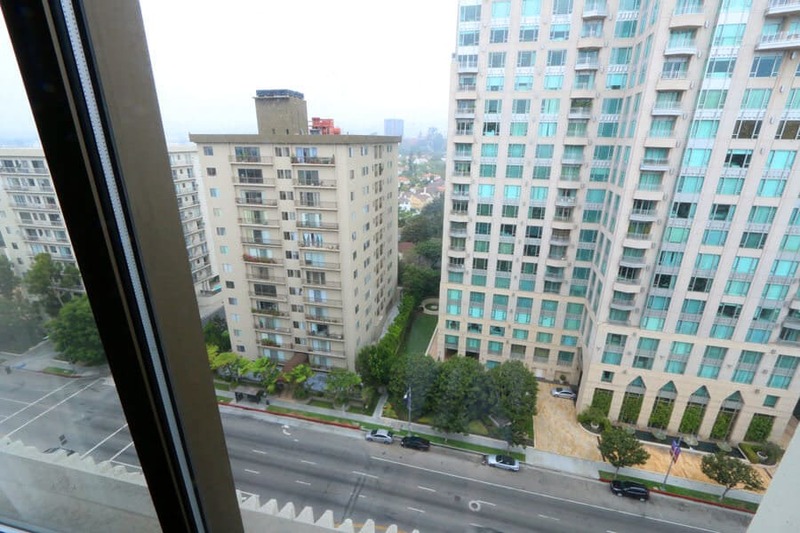 And on the other side, from our room window, we could look down on Wilshire Boulevard and its upscale condo complexes. 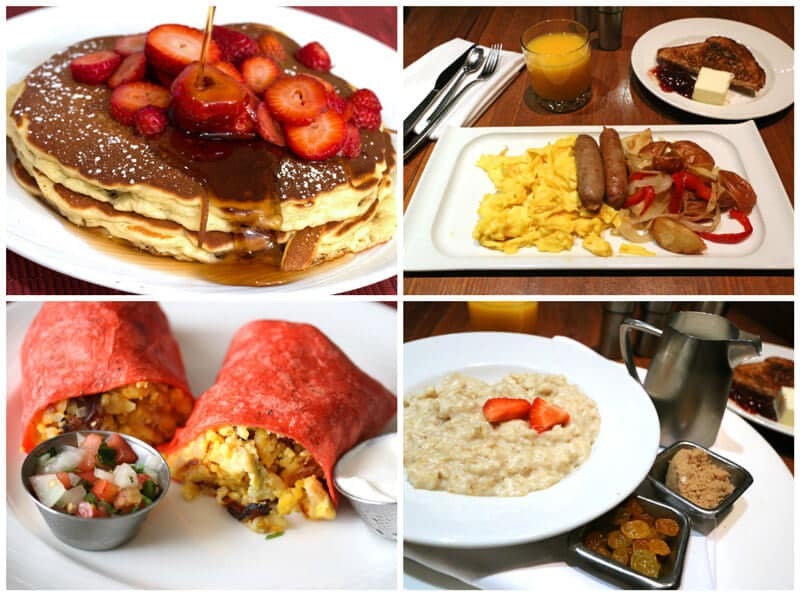 We enjoyed a nice breakfast at the hotel’s popular and classy restaurant, BLVD 16. BLVD 16 offers innovative seasonal American cuisine with the freshest ingredients culled from local and regional sources. 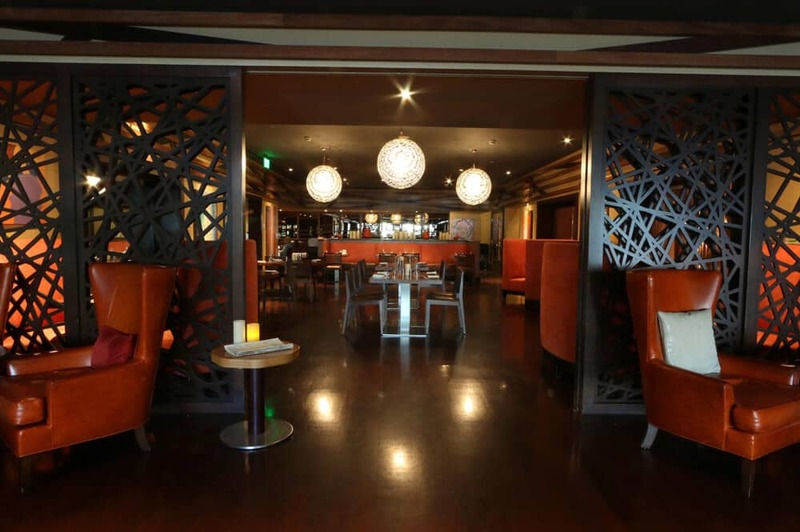 For more information on their dinner selections, check out our dinner review of BLVD 16. 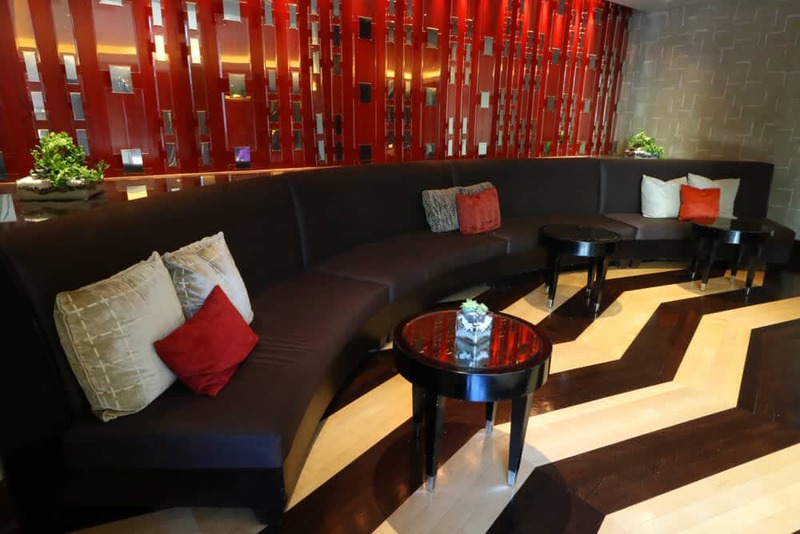 Comfortable seating is available throughout the lounge area. I liked the addition of the books on the tables as part of the decor. It created a cozy, at-home atmosphere. From the bar and lounge is the entrance to the dining portion of the restaurant. BLVD 16 is very intimate in its style and decor. 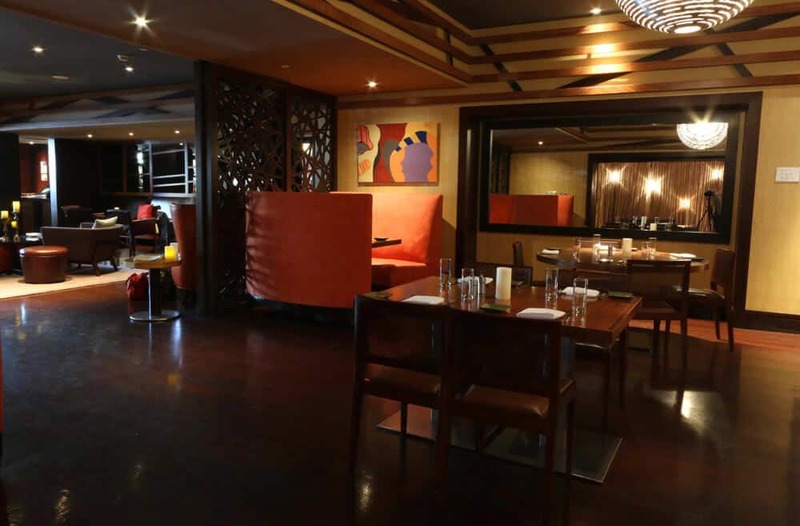 It seats more than 100 guests in the dining room and also has two private dining areas. The restaurant staff was friendly and our food came promptly. We enjoyed breakfast at BLVD 16 two mornings. The first morning we both had The American, which consisted of scrambled eggs, breakfast potatoes, ham, bacon or chicken sausage, toast, and juice. We also had a serving of oatmeal with golden raisins and brown sugar. The following morning I had The Burrito filled with scrambled eggs, cheddar cheese, bacon, hash browns, avocado, and pico de gallo. My husband had the Plain Jane buttermilk pancakes with powdered sugar, strawberries and maple syrup. The pancakes were perfect and Todd let me have some of them in return for half of my burrito, a fair trade. The food was all flavorful and satisfying and left us charged for a full day of sightseeing! Hotel Palomar was fabulous and we thoroughly enjoyed our stay! 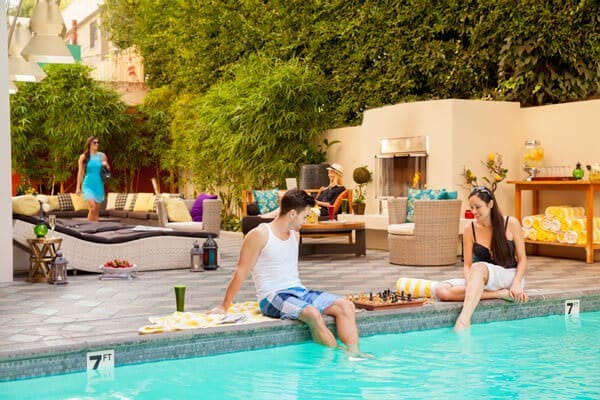 If you’re planning a trip to Los Angeles and are looking for a luxury boutique hotel in a fantastic location with top notch service and a terrific personality, consider Hotel Palomar. Or, if you live in the area and have an appetite for good food or creative drinks, swing on by to BLVD 16 and join the many other locals who have discovered this gem. For a full-photo review of our dinner experience at BLVD 16, click here. 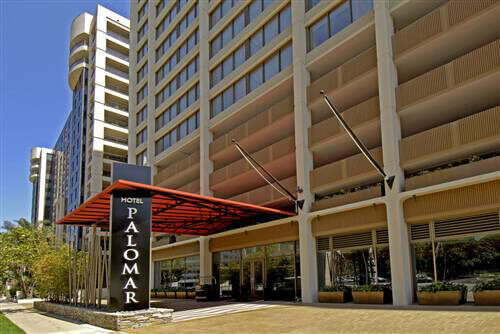 Disclosure: We enjoyed a complimentary stay at Hotel Palomar with no obligation to write a positive review. As always, all opinions are entirely my own. « Balsamic Glazed Chicken Rolls + Wüsthof Review and 8-inch Cook’s Knife GIVEAWAY!! NICE! Love the floors and the room and restaurant look awesome! Me, too, Corinne! The floors are awesome – the photos don’t capture it but the optical illusion is really something! I’ve never been disappointed with Kimpon, great hotels and service. This one looks fantastic. I’m glad your experiences have been positive as well, Katy! Like the “feel” of Hotel Palomar, definitely a lot of personality. For sure, pamngreg, it’s a really nice atmosphere with a lot of thoughtful touches throughout. Love the colors, the views, the lobby, everything looks so nice! Agreed, Hotel Palomar is super nice, Kelli!